The last few months have been extremely busy here at TelecomsPRAfrica. Our client base continues to grow and we are proud to work for companies which are building the telecoms infrastructure which Africa needs and deserves. This month we are working on all kinds of stories which show how our clients continue to invest and innovate. For those of you who have found that trade shows are a good way to cement existing relationships and build new ones, then you might be interested in submitting a speaker proposal for next year’s Mobile World Congress. This is not traditionally an event which focuses much on Africa and emerging markets. The GSMA usually hosts some side-show seminars about m-power, m-money, m-women etc but the main conference is focused on the issues in established markets such as 5G, social media and M2M. The deadline for submitting a proposal is 12 September. Terrific show this week. Here’s a summary from Informa – and if you’re not already in the linkedin group then you should join! It’s called East Africa Com: Telecoms, ICT & Media Group. After two days of engaging discussions and networking, the 9th annual East Africa Com conference and exhibition closed in Nairobi, Kenya on the 22nd of May 2013. The sessions covered the services that are most likely to impact data growth in the region: content, mobile money, e-health, TV, mobile marketing and apps. Some keywords were repeatedly mentioned when discussing how to make services successful: affordability, user-friendliness and simplicity. Betty Mwangi-Thuo from Safaricom (who gave an update on the ever successful mpesa) also highlighted the importance of partnerships to ensure the success of services. The topic of e-health was covered by a presentation from a representative of Ogra Foundation, the event’s charity partner, which works with and for vulnerable communities in Kenya to improve and promote health. The event ended with the AppGig, a new session dedicated to developing, promoting and monetising apps for East Africa. A lively panel discussion covered both technical and commercial issues. The audience had a chance to share their favourite apps for the region, ranging from traffic news to education and health. The East Africa Com team received a record breaking 500+ tweets over the course of the two days, which surpassed last year’s tweet record by 68%. We look forward to reading your tweets next year! 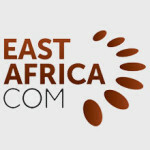 You can still tweet about your experience this year using #EastAfricaCom @allaboutcom on twitter! So preparations for the monster show that is the GSMA’s Mobile World Congress are apace. Just over two months to go and sales and marketing teams will be polishing their PR messages, trawling their databases and working out their top 10 target prospects for the show. For my clients who are selling into Africa the show has really not been so important as it tends to focus on issues affecting the US and Western Europe. However, for the first time in absolutely years there will be a panel discussing African issues. The panel is headed up by Bradley Shaw, the popular and much-respected editor of Africa Telecoms magazine, + will also feature Nic Rudnick, CEO of my client, Liquid Telecom.